Tailgating? No. BBQ? No. Really cool looking hot dogs? Yes, but more importantly, this is a symbol of a pledge I rarely make. We’ll go over the hot dogs in a bit after I talk a little more about this pledge. After serving in officer roles in too many school clubs and then moving to many officer titles in non-profit organizations in my adult life, I’ve learned that these non-paid roles require a lot of process, patience, persistence, and people. There are definitely a few more things that help make these clubs/organizations succeed but for now I’ll concentrate on the people. People are the core of what it takes to make your club, group, or organization successful. Having held almost every title, I’ll admit I’ve never been secretary, I understand the various levels of commitment in terms of time, challenges, and expertise. On being secretary, I just can’t keep good notes. I’ve tried and failed. Which is why I really appreciate anyone who takes that role. After making the processes of getting things done the next step is making sure the people are using them. Processes for different roles are easy to make and can be copied from various sources. In fact, the bylaws I wrote for my high school sewing club have been the base of some of the current bylaws I’ve helped develop and follow today. I’d go into group dynamics and functional skill but I’d rather move on with the assumption that everyone is getting along and are masters of their trade. People and process are important but I also find that patience and persistence are necessary especially in non-paying positions. In this example, you can’t buy patience or persistence. So what do hotdogs have to do with this pledge? One of my favorite former vice-presidents of the PTA called me up to help her grill up some hot dogs for a fundraiser. While she was hesitant to ask but before she ended her question, I promptly agreed. Actually, I agreed before knowing what my job would be. This could have been donating blood, selling Girl Scout cookies, or baking cakes. Thank goodness it was grilling up hot dogs. I didn’t realize that I had conflicts in my calendar for that day. I had to cancel a couple of appointments but I wanted to make sure I kept to the pledge. Plus, I really had a lot of fun and this brought back fond memories of working with a great group of people. 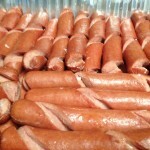 Now for the hot dogs and why they look like that. 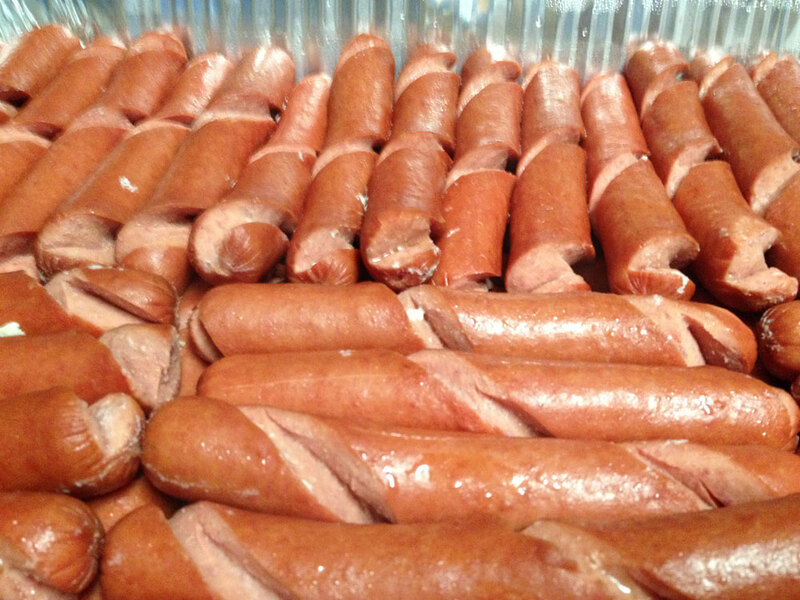 There’s a movement for spiral hot dogs. This is where you take your hot dog, put a skewer through the center, and use a knife to cut around the hot dog in a spiral. The results are a hot dog that fits in any bun and can hold condiments without them slipping out. However, your hot dog just turned into a Frankenstein Dog or some kind of decapitating hot dog that reminds me of The Walking Dead. I also find that it doesn’t taste the same. I offer the middle ground. You don’t have to cut the dog all the way to the center. In the same spiral circular motion, cut halfway down just enough to score the hotdog. This will keep the condiments in place and will still make it look and taste like a hot dog. Try it out and let me know how it works out.